ParsePro transforms any infile from Experian, TransUnion, Equifax or Teletrack into MISMO-compliant XML, with extremely fast transaction times well under 1/10 of a second. ParsePro supports all of the most recent versions of the Credit Bureau infiles: Equifax (versions 5.0, 6.0, Total View, CMS and XML), Experian (versions 6 and 7) and TransUnion (versions 4.0, 4.1 and XML). 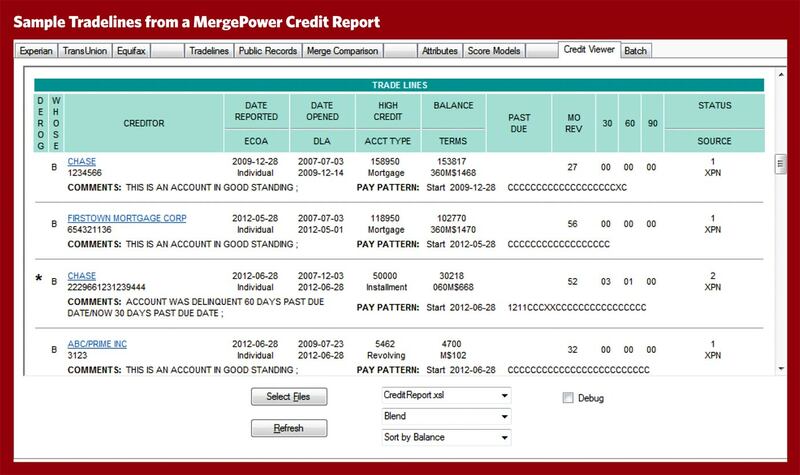 MergePower incorporates all Credit Bureau updates into these versions. It also supports the recent Trended Data segments added by each of the Credit Bureaus. ParsePro can output XML in the following MISMO versions: 2.3, 2.3.1 and 2.4. 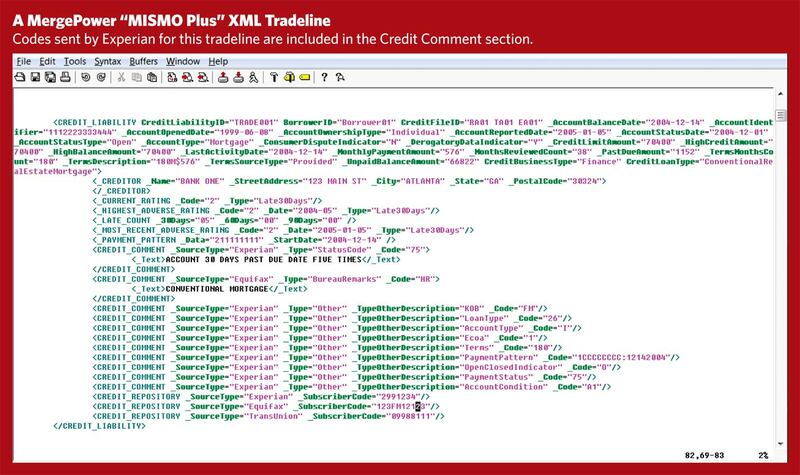 The XML output produced by ParsePro has been certified by MISMO. 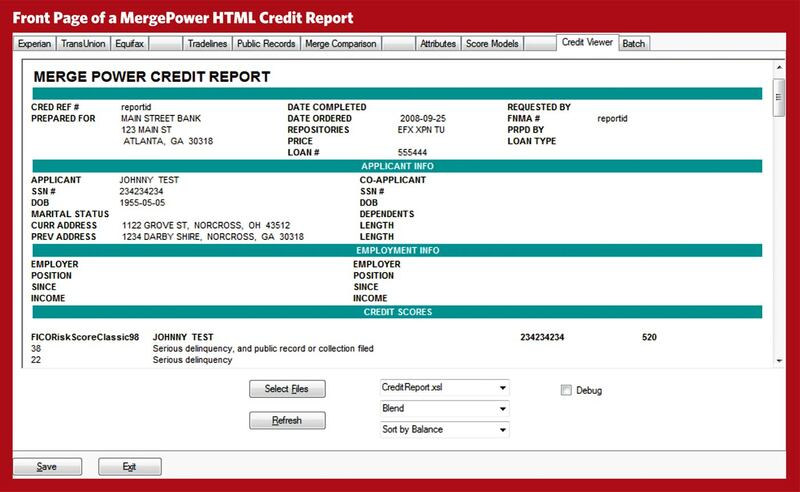 MergePower was only the 2nd company in the country to obtain this certification for version 2.3.1. ParsePro also supports the creation of a format we call “MISMO Plus”. It’s standard MISMO that includes native bureau repository codes. MISMO Plus files are entirely MISMO compatible and allow credit attributes to be accurately created directly from the MISMO data. © 2018 MergePower. All rights reserved.